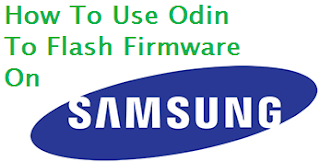 Hi guys today I would like to discuss on how to use Odin to flash firmware on Samsung Galaxy device. Those who wish to manually flash stock ROM on Samsung, they will need Odin tool, because the manual flashing methods require them to use Odin. So if you never installed a firmware manually, then you never used Odin before, in that case you can use the instructions on this post. Odin is simply a flashing tool that's originally released by Samsung and now it's continually maintained, developed and distributed for Samsung Galaxy users to flash firmware, root their device and flashing a custom recoveries such as CWM, TWRP and Philipz. So if you are the owner of the Samsung Galaxy flagship then you use at least have sufficient interaction with Odin. A Windows OS computer, currently Odin only supports Windows operating system based computer, thus make sure you have one. A USB cable to connect your Samsung Galaxy device to your computer. 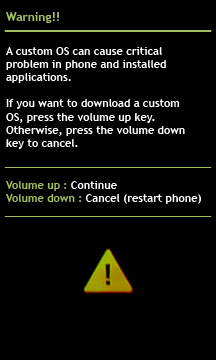 USB Drivers installed on your computer to recognize your Samsung Galaxy flagship. Download Odin tool for PC. 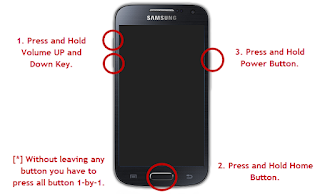 Download Samsung Galaxy firmware from SamMobile (Search on the firmware there) to your PC. 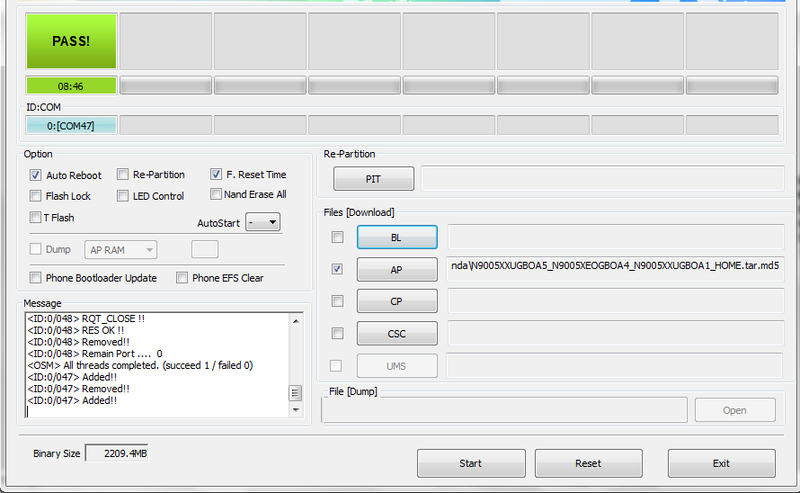 Enable USB Debugging mode of your Samsung Galaxy device. Additional. Want to root access guys? Let's head to how to root Samsung Galaxy devices with Odin and CF-Auto-Root. 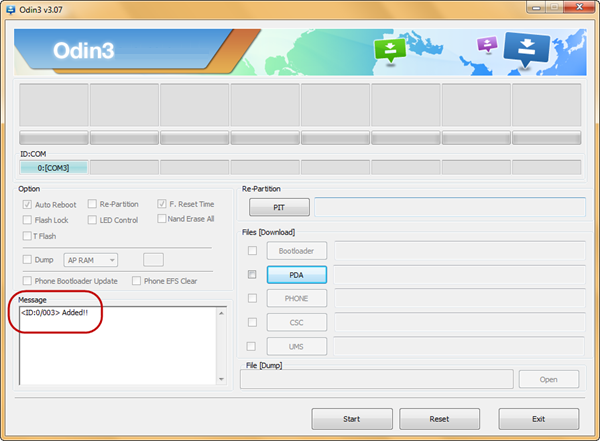 How to use Odin to flash firmware on Samsung Galaxy? 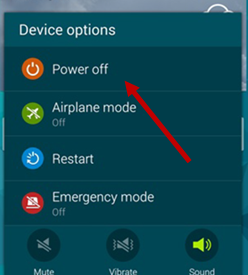 Now you need to turn off your device using the Power Off option. Once your Samsung Galaxy device is turned off, you need to boot it to the Download Mode by pressing and holding these three buttons; Volume Down + Power + Home. A Warning!!! will appear, just release all the bottoms, continue with pressing the Volume UP button to get your device into the Download Mode. Once your device is in Download Mode, you can open Odin by clicking the file name, see the image below that's based on Odin version. You can now connect your Samsung Galaxy using a USB cable to computer now for Odin to recognize your Samsung Galaxy device. If Odin managed to detect your device then you will see a notification saying Added!!!. Click on PDA or AP (Based on your Odin version) button on Odin then search the firmware file you downloaded earlier to your computer. Once the firmware found and its name appears on the PDA just clickthe Start button to start the firmware flashing process. If everything gone smooth, Odin successfully flashed the firmware, it will show the Pass notification. See also Download SP Flash Tool For Windows And Linux. Congratulations my friend because you have known the full steps to use Odin to flash firmware.